Up for sale are 16 copies of Marvel's Star Wars: Darth Vader #3. That's the first appearance of Doctor Aphra. These issues are at least NM, with at least six of them being NM+. These are comics that are in very nice shape. Each issue is in a Mylite2 bag with fullback. All 16 copies for $80 plus shipping. Prices are eBay for this issue ranges in the $7 to $15 range. I'm asking for what amounts to $5 per copy. I prefer shipping Priority Mail, but if you want Media, let me know. Just understand that the PO might inspect the box. 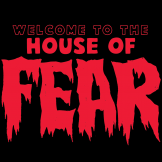 Dark Horse to publish my comic: House of Fear! Now you're talking. Hadn't thought about that. I really need to work on my signature to do that. If I sign comics myself, for myself, do I need a CGC rep there to prove it's really me and not my clone (who may or may not exist, but I can't say one way or the other). I know most of you love mint comics, and so do I. So imagine how wonderful it feels to get a stack of these from the printer. (These are from my latest Kickstarter campaign.) Maybe I should send some of these in to be graded. Or you could sell them with "once owned by James Powell" as the big selling point. Glad you enjoyed them. I'm getting a bunch of copies of Teeth today to sell at conventions and such. I really like that one, too. Probably the "scariest" of the bunch. I still miss those Conan comics. But I'm really going to miss the Adam Hughes comics I've been selling. I wonder how many comics I need to sell before I can buy all of those other comics back. Where can I see some of Kav's art? I'm always interested in seeing creators doing their thing. Thanks for the support, everyone. It's going to be hard to wait four months before this is available. Until then, I can look at the item in Previews. Well, once I get the new Previews anyway. Thanks, m'man. And I can definitely sign some. I'll have to work on my signature. I printed a B&W version of the first story and sold it at the Denver Comic Con. The reception was good enough that I colored the issue and ran a Kickstarter to print 1000 copies. Since then, I've done 2 more Kickstarter campaigns and we have 3 more stories being produced. I'm hoping that the original B&W comic will become a collector's item to those who enjoy tracking down rare first editions/prototypes/ashcans. I don't have many left, but as someone who loved to track down rare first printings, I'm hoping there will be a small market for those originals after the series takes off. I thought Jude's tone was hilarious in that little article. I wrote them with kids in the 8-12 range in mind. My son just turned 9. He and his friends dig them so far. If you want, I can send you a PDF of one of the issues. Just PM me your email address. Same goes with anyone else interested in checking it out. Dark Horse is publishing my comic series, House of Fear! I've been sitting on the news for awhile now, but with the March 2019 solicitations online now, I can start sharing the news. This series is the prime reason I don't post here that much anymore. I've slowly cut back my comic buying, and more recently, started selling off my collection. All in the name of saving enough money to pay creators to make my stories come to life. House of Fear is a series of scary comics for kids. It's Scooby-Doo meets Tales from the Crypt. The first collected volume features five stories featuring kids fighting monsters. You can preorder it on Amazon and Barnes and Noble now, or check with your local comic shop. I also have some individual issues available for sale for anyone interested in floppies. I'll start making those available again in the new year. Vernon purchased a few books from me recently, and it was a perfectly smooth transaction with good communication and quick payment.